So, after 5 years of ownership (most of them spent in the garage), I’m moving on from my Associated B4. Times have changed dramatically in 2wd buggy racing and it is time to try something more up to date (remains to be seen whether my new whip will be any faster though). I’ve really enjoyed racing this car. It is a brilliant piece of engineering, everything on it is exceptionally well designed, and it has proven to be almost indestructible (nothing broken despite some good attempts on my part). It drives well too, but you have to wonder how much it is losing out to the mid motor cars due to the reduced weight over the front axle. I’ve raced the car again a few times this year, and the biggest change for me has been the Schumacher Low Profile Cut Stagger tyre. This is an awesome tyre! It has made getting a good balance in the car so much easier, and you don’t need to get the side cutters out to modify the spikes. 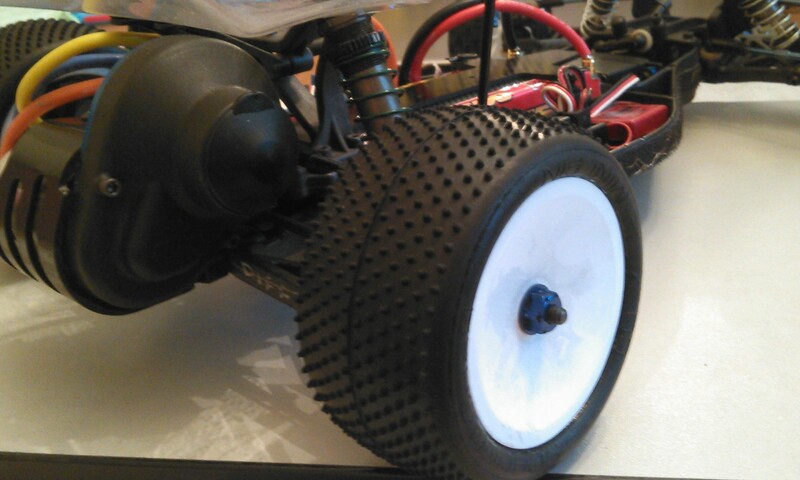 The only other change this year has been fitting the JConcepts serrated wheel nuts (which are expensive, but don’t come loose), and the RPM gear cover (which doesn’t lose the slipper plug as easily). I’ve posted a couple of pictures of the car and a setup sheet. My setup is a little bit unconventional, but it is what I have ended up working towards after running the car very stiff indeed in the NiMH days. With the lighter LiPo’s, I’ve been able to drop a spring grade (at least). Green springs on the rear arm outer hole is about the same as silver springs on the inner hole. 40 grams of weight around the front end, helps to keep the tyres on the ground and gripping. An overview of the B4 after its last race. A couple of reliability upgrades for this season, don’t make the car any faster but stop bits from falling off! The B4 isn’t going anywhere though, it will go back to its home in the garage, ready for the next generation of racer to have a go… just like my TOP Scythe, it isn’t worth enough to be worth selling. New rear tyres gained me two laps. ‘Nuff said! 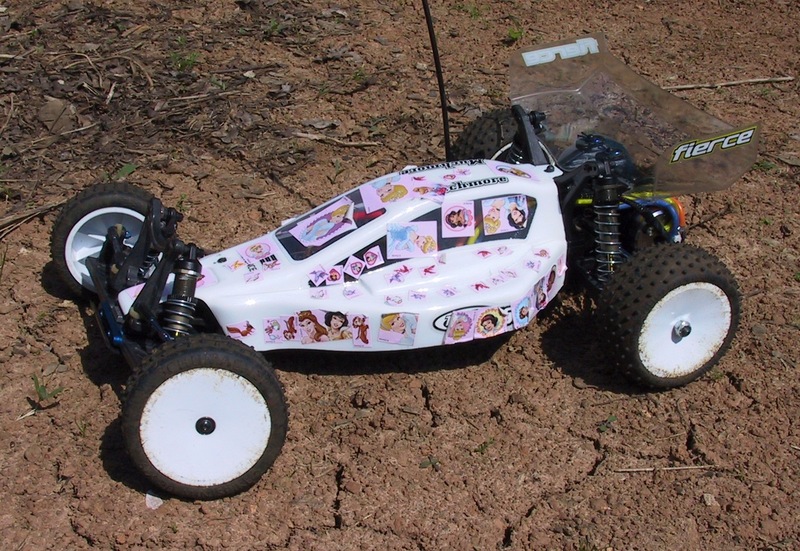 This is what happens when you leave a 5-year-old alone with an RC bodyshell and a sheet of Disney Princess stickers. While I’m here I’ll upload my base setup from the outdoor season. The Chippenham track started out grassy with some large bumps, as the season progressed the grass became very worn in places and the bumps became enormous. This setup is good in all but the very bumpiest and slipperiest sections. Sorry about the image quality, unfortunately I don’t have full Acrobat so it had to be printed then scanned back in. The flash of white to the left of the picture is the rear wing of Stephen Fabray’s vintage Optima Mid… still challenging for honours after all these years (driver and car alike!). One of those dark spots in the middle of the track is Dean Jennings’ car, and I think Adie Parkes car is in there somewhere too (try squinting and holding your thumb up to the screen). Dean was running a cheap Haiboxing car which actually goes round the track pretty well (taking 4wd TQ I think), Adie was running one of the club cars, a Kyosho Lazer Readyset. 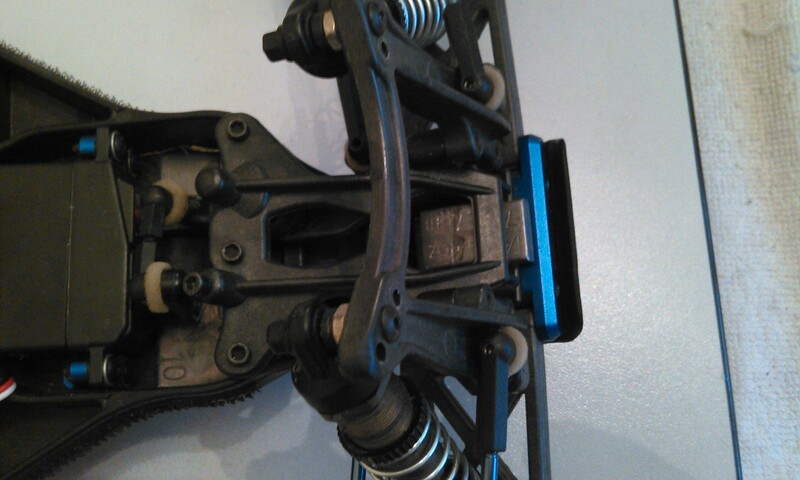 It goes to show that you don’t need the most expensive or up-to-date equipment to enjoy RC racing. You can see the white flash of Stephen’s car a bit more clearly in this shot. OK, I admit it, the pics are rotten (taken with a phone), but the racing has been good. 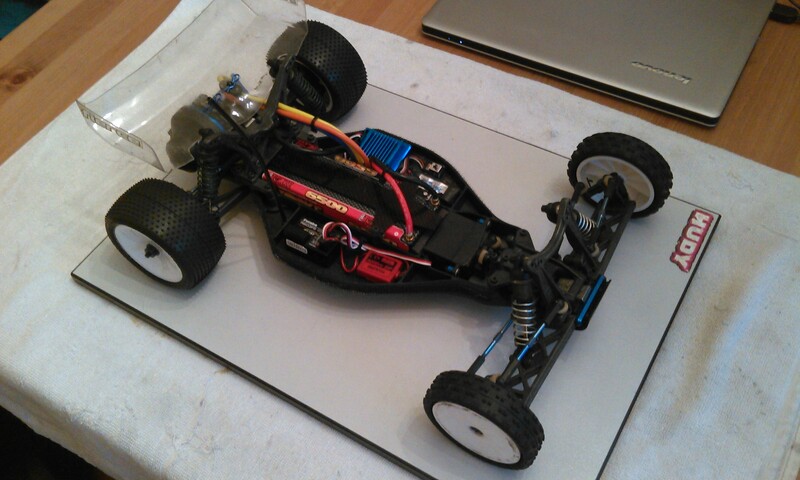 A little while ago I took apart my then-newly-acquired Speed Passion V3 13.5. A red (12.5mm) rotor rather than the 13.5’s purple (12.3mm) rotor. Should give a little more power. Slots in the can when it was expected to have a solid can. Don’t know if this is a running change or a production error. I also noticed that there was some flash on the mouldings inside the motor that were rubbing on the rotor, so I trimmed them off. Just come back from another top day out with the buggy at the Caldicot round of the WRCA. 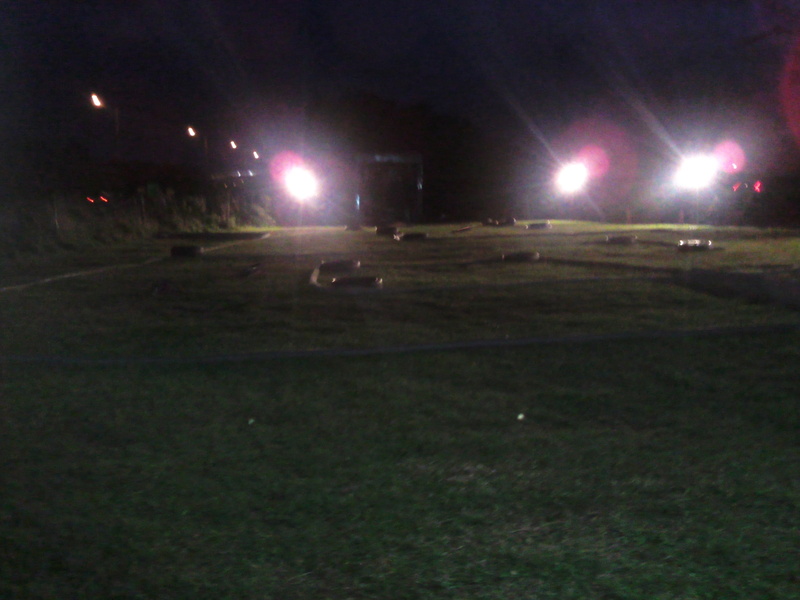 The club laid out a tight and twisty grass track which, despite the lack of jumps, was quite a challenge to lap consistently, especially as the grass rutted towards the end of the day and revealed some tricky dips and bumps. The weather was 99.9% dry and overcast with the odd sunny spell, perfect conditions for racing. Qualifying was round-by-round and my two good runs were enough to secure 6th on the A-final grid in 2wd. The final didn’t start so well after I clipped a marker and tangled with a couple of other cars, and I was more or less last by the end of the first lap, but a couple of passes and a couple of retirements meant I worked my way back up to 6th by the end. 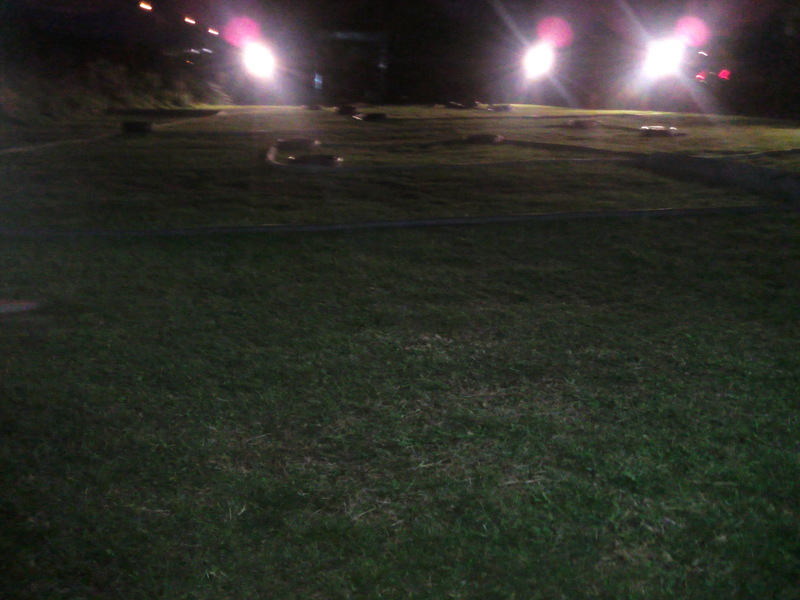 The B4 went pretty well despite growing understeer as the grass was worn away. Dropping from blue to silver front springs and a few other small changes to the rear end wasn’t quite enough to cure it (if anyone is interested in my setup they are welcome to it, just ask). So, thanks to the Caldicot club for a great meeting and some delicious hot dogs! Their website is www.crccc.co.uk.